Living the life of Riley: 12 Weeks! Riley just hit her 12 week mark and has had her last set of shots today! 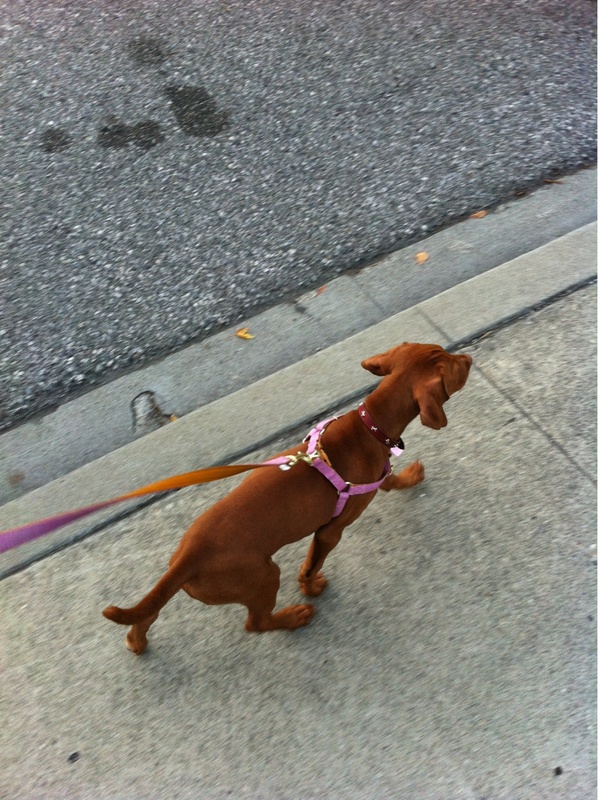 The hubby took her for her first walk and she loved every minute of it. I keep trying to join the Vizsla walking group on Yahoo because she'd LOVE to walk with some other Vs, but for some reason my app hasn't been approved yet. *sigh* I'm going to keep looking for another group... please contact me if you know of one!